LIMITED TIME FREE TRIAL of our full college application guide: The College Application Blueprint! When I think of studying for the SAT, I think of entrance exams. Entrance exams are some of the most common stressors for students all over the world. As an anime fan, I always think of the anime trope of students cramming for big entrance exams starting as young as elementary school. Even if you’re not into anime, you might be familiar with characters like Ami Mizuno, Sailor Mercury from the campy anime classic Sailor Moon, well-known for her stellar academic achievement and studying prowess. While the SATs don’t kick into gear as early as elementary and middle school, many American students and international students seeking to go to college in the United States feel just as stressed by the test. To help you manage that stress, we’ve put together a few helpful hints to make the most of studying for the SAT. Studies have shown that the effects of stress on people are largely determined by how the individual views stress. Negative views produce more negative effects, while viewing stress as a learning experience produces long-term positive effects. A lot of students approach the studying for the SAT like it is designed for them to fail. This is simply not the case. The test is not built for you to fail; it is built to show how much you can succeed given the knowledge you have, as formulaic as it might be. Understanding this is the first key in studying for the SAT and take it successfully. If the idea of the test is stressing you out, talk to your teachers, friends, upperclassmen or guidance counselor about it. Not only can they tell you about their own experience to help reduce your anxiety, just talking about it will help you feel better about the situation. Whether you are just starting out in your high school career or already entering senior year, you can start practicing relaxation techniques before big tests to help calm you down. These techniques will help with not only studying for the SATs, but also your normal classes and even AP exams. Students report techniques as varied as deep breathing, meditation, listening to classical music, vocalization (shouting at the top of your lungs!) or even exercising. Find the technique that works best for you, especially one that you can apply just before sitting for a test, and use it to help calm you down if the stress levels start to feel too high. It may sound like a cliché, but this couldn’t be more true for the SAT. Students who take the SAT more than once show marked improvement between the two tests, even if the tests are taken in the same academic year. The first time that I took the SAT was in the seventh grade as part of the Duke Talent Identification Program (TIP). After that, I took the test another four times through high school, once each year, and also participated in the PSAT offered by my high school. If the PSAT is offered at your school, take that opportunity to get a feel for the SAT (and give yourself a shot at the National Merit Scholarship). Keep in mind that taking the SAT too many times can be a flag for colleges, and it can also get pretty expensive, so we recommend taking it up to three times in high school starting your sophomore year. This also gives you a full year between tests to review how you did and study for the next exam. Taking the SAT multiple times will familiarize you with the material and format of the test as well as the testing experience. By the time you take the test your senior year, you will be so comfortable with the process that most of the pressure and stress will be gone. The biggest benefit of this is that you will know how to pace yourself without feeling rushed, allowing you to take the right amount of time for each question. If you run into a tough question, your experience with pacing and understanding of what questions typically trip you up will help inform your judgment of whether the question should be skipped, revisited, or worth spending time on to figure out the answer. Many students invest their study time into SAT prep courses. And while these can be beneficial, they are also very expensive. If prep courses are not financially feasible for you, don’t fret. If you’re taking the test multiple times, like we recommend, you’ll get a guide to the most efficient use of your study time from the score breakdown of your last test. Find fun and creative ways to build those skills that have room for improvement. If you’re finding that you need to improve your math skills while studying for the SAT, join a math club at school or ask your parents to teach you about budgeting and finance. Actively look for applications for your math courses in real life to help you process the information and reinforce the principles. Pay attention to how the news uses statistics or start thinking about how many times we use algebra without realizing it when calculating discounts or rewards points. If you find yourself wanting to improve on your reading skills, think about joining a book club or debate team to help you with studying for the SAT. The SAT reading section looks at evidence-based reading comprehension, so being in a group that actively engages and discusses what you are reading will help you to hone those skills in a fun and creative way. An added benefit from public speaking clubs or classes is that it can also help with the essay section as well as your alumni interviews. If writing is where you find yourself wanting to improve, think about exploring some creative writing classes or clubs. These will help you to improve your ability to write detailed, thoughtful compositions with little preparation. While the SAT essay section focuses more on academic writing, even fictional writing practice will help you to study for this portion by teaching you how to more effectively craft thoughts and ideas, often within a time limit and on specific topics not of your choosing. The more comfortable you are with this extemporaneous writing style, the easier the essay portion will be. If we’re looking for ways to make your testing experience and overall academic career stand out, use these tips to help you build a unique, personalized study curriculum by combining the conventional with the unconventional. In future posts, we’ll go more in depth on the more conventional methods for studying for the SAT as well as the most effective ways to combine unconventional and conventional tools to help you reach your target score. For more in depth information on how you can create actionable plans from these unconventional study tips and other actionable application strategies, subscribe to the Get Into Ivy email list to get notified when new articles are released and check out our full College Application Blueprint. Our flagship course is now live! 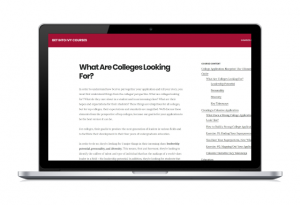 Get the College Application Blueprint for Ivy League experts' guidance to help you build a successful college application.